and a traffic mess — on Sauvie Island. 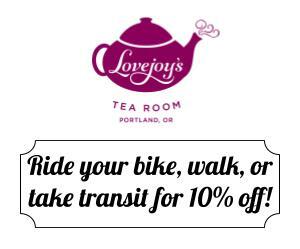 We’re smack dab in the middle of the long-awaited summer riding season here in the Portland region. Unfortunately, the dry weather is also prime time for city, county, and state transportation agencies to do major repaving and road projects. Several have come across my desk in recent days so I figured I’d put them front page so you can better plan your rides and/or know what to expect out there. If you know of other road projects that impact popular riding roads, please add them into the comments. The first project will impact a major gateway to riding in the Gorge. The Federal Highway Administration is set to begin a four month closure out on the Historic Columbia River Highway near Crown Point. I first shared word of this back in February. Earlier this week, an FHWA staffer emailed an update and asked me to share it with the community. The Federal Highway Administration – Western Federal Lands, is ramping up to start construction on the Crown Point Viaduct Project, which impacts a section of the Historic Columbia River Highway between its intersection with Larch Mountain Road and Latourell Falls. Construction will involve repairing and restoring the viaduct that carries the highway around the Vista House and repaving several miles of highway. If you’re out for a weekday training ride, expect delays of up to 30 minutes starting next week and going through August. “In September, the road will be closed to everyone, including cyclists and pedestrians, between the Vista House and Latourell Falls. Expect road closures to be in effect on weekends as well. The Vista House will still be open. From October 1st to December 31st, the entire section of the historic highway between Larch Mountain and Latourell will be closed. The Vista House will also be closed to the public during this time. 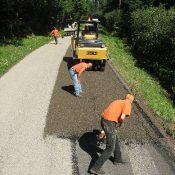 In other news, Multnomah County announced paving projects that will impact three popular bicycling roads: Gillihan Road on Sauvie Island, NW Rocky Point Road in the west hills above Highway 30, and NW Germantown Road from Skyline west to the Multnomah County line. More info on those projects here. Get ready to see flaggers, traffic delays, people in cars that are even more anxious and stressed out than usual, and some loose gravel on these roads. In the end though, we’ll have smoother roads to roll on! 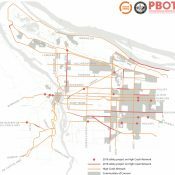 I seem to recall reading about bridgework on Old Cornelius Pass, which cuts off access to Phillips from Skyline, and apparently Germantown will be out, too. For good measure, let’s close down Bull Run and Larch Mountain so I can hang up my road bike for the year. Just this once, “getting ready for ‘cross season” doesn’t sound like such a lame excuse. You’re right, Old Cornelius Pass is blocked just north of the Rock Creek Tavern. I never knew how many routes I use that utilizes that route. It’ll be closed down until September 21, I believe. I ran into the Old Cornelius Pass Rd closure this weekend. It would be nice if they considered bikes for their detour routes. I’ve ridden Cornelius Pass Rd twice and have decided to never ever do that again. Narrow road, no shoulder, 50 mph speed limit, SUVs and pickups pulling boats honking at anything in their path. Terrifying. -Slab Creek Rd. and Old Scenic Hwy. 101 are closed from June 25 through August 31, 2012. Slab Creek is old 101 over Cascade Head south of Pacific City and north of Lincoln City. So cyclists have to take 101 over Cascade Head. -The Nestucca River Road will be closed from July 9 to August 17, to improve stream access for spawning and rearing Oregon Coast coho salmon. The road will be closed 18.9 miles east of Beaver at the Hoag Pass Junction, and closed 18.7 miles west of Carlton at Dovre Campground. Fan Creek and Elk Bend Campgrounds will also be closed during this period. Thanks- I was going to ride Slab Creek tomorrow. I guess I’ll make other plans. I just wish they’d pave that 1.5 mile section that is currently gravel. I’d ride that route more often if it was paved. It’s been a few years since I last rode that route due to that. Take the Bald Mountain/Bible Creek detour. It’s all paved and for the cost of a ~3 mile 1000 foot climb you get another 14 miles of smooth fast curvy descents with only a few short upgrades. It’s /very/ nice, if you don’t mind the additional climb up to Sheridan Peak. OK, now I’m intrigued. is it a good road to use? I would use it to ride to Pacific City, OK, Pelican Brewpub. I can’t find another place like it on the north coast, where a pub is right on the beach. It’s a terrific road to use. I ride 99W to Lafayette, Mineral Springs Road to the E/W road that runs into Carlton, then just go west until I run out into highway 101 in Beaver, then loop around north to Sandlake and down into Pacific City. It’s about 105 miles with the Bald Mountain Road detour, which makes for a nice afternoon out if you’re fast, a nice day out if you’re not. Spoken like a true randonneur! As someone who doesn’t really get into dirt/gravel riding, I didn’t find the 1.5 miles of unpaved that bad. And think of it this way: If that road was paved the whole way, there would be more motor vehicle traffic on it. And it wouldn’t be the quiet byway we currently have. Wise of them to completely close Germantown to everyone but residents who live there.